Caressa Rogers Photography: The Southern Accent found me "Pinteresting"! The Southern Accent found me "Pinteresting"! 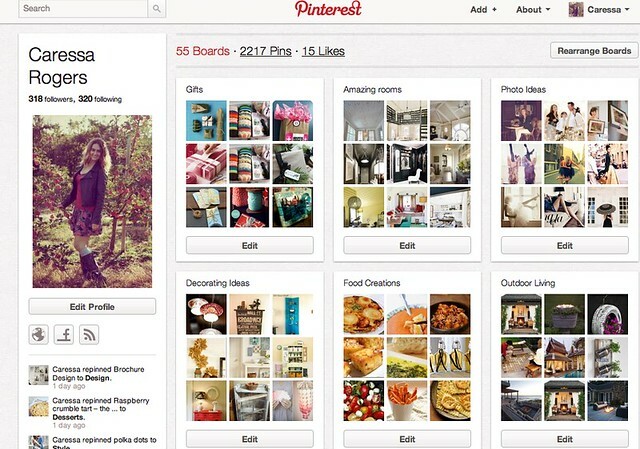 Pinterest... it's the newest social media, one that I have become quite a fan of. Jessica Weaver, a friend of mine, interviewed me for an article that is featured in the Southern Accent. You can read the article here to fine out my favorite uses for Pinterest. For those of you who are just hearing about Pinterest, the article will catch you up on this fun new site! Hop on over to my Pinterest board to check out what I've been pinning! And for those of you who'd like an invite, just let me know I'd be happy to send one your way! Happy Pinning!